Short on time? 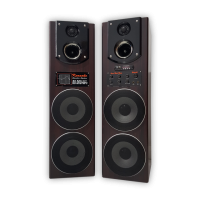 Let speaker sellers contact you. 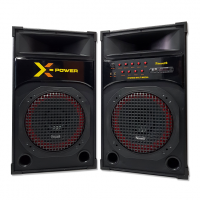 USB Rechargeable Bomb shell Speaker Home Audio Speaker. 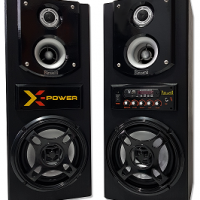 Feature: Type - Home Audio Speaker Configuration - 2.1 Power Output - 10 W Frequency Response - 35 - 200Hz Color- Silver Product Dimensions- 22.2 x 15.4 x 15.2 cm Description: It also has a built-in radio, and if you already have an mp3 player you can use this as a speaker since it has a 3. 5mm audio connector. It does have a rechargeable lithium battery, so you can lob it and cue an explosive sound effect if you want. If you're looking for more of an explosive experience from your next mp3 player, check out the usb bombshell mini speaker. This mini speaker is made to look like it's wrapped in dynamite and even has several fuses wrapped together on top, making it look as if you could just slap this baby on some surface and blow it up. But the only thing it will be blowing up are your tunes. Just don't play any jokes on people with this one, people don't take kindly to fake dynamite pranks. the portable speaker features a bombshell shape. Usb bombshell mp3 player is not only a portable speaker, but also a radio / mp3 player. Built-in a usb port and sd card slot which can read sd(hc)/mmc memory card and usb memory for playing mp3/wma audio files directly. 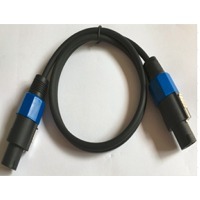 It also allows to connect to all ipods, mp3, mp4, md, cd player, notebook, pc, pda, psp, mobile phone and other digital products with 3. 5mm stereo audio connector. Built in lithium ion battery - convenient to use. It gives you a retro feel and can be a decoration for your desk. Guangzhou Shu Yin Electronic Co., Ltd.
Soundking Electronic & Sound Co., Ltd. Cabinet adopts mdf, strong strength Woofer adopts high temperature-resistant kapton voice coil frame Tweeter adopts aluminum diaphragm and pen diaphragm Build-in lc crossover with high freq. Protection of low distortion. 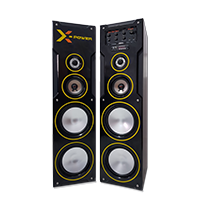 Specifications: frequency Response: 35HZ-20HZ Impedance: 8OHMS Sensitivity:91DB 500w dynamic power Features 10 inch side firing subwoofer 6 1/2inch polygraphite woven pattern Designed mid base drivers 1 inch metallic precision coated hard home tweeter 3 inch base reflex tuned port Phase-aliged 3-way crossover High temerature voice coils. Size: 46*67*58 cm. 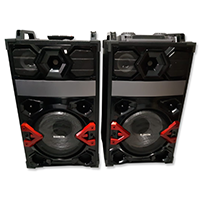 D-15 consists of one 15" lf speaker and one 1.73" compress driver , multi-angle cabinet design , canal so be used as stage monitor loud speaker . Phase-conversed lf radiation. Built-in high-quality crossover , and can also choose bi-amp frequen cy division mode. Tianjin Tempest Electornic Co., Ltd.